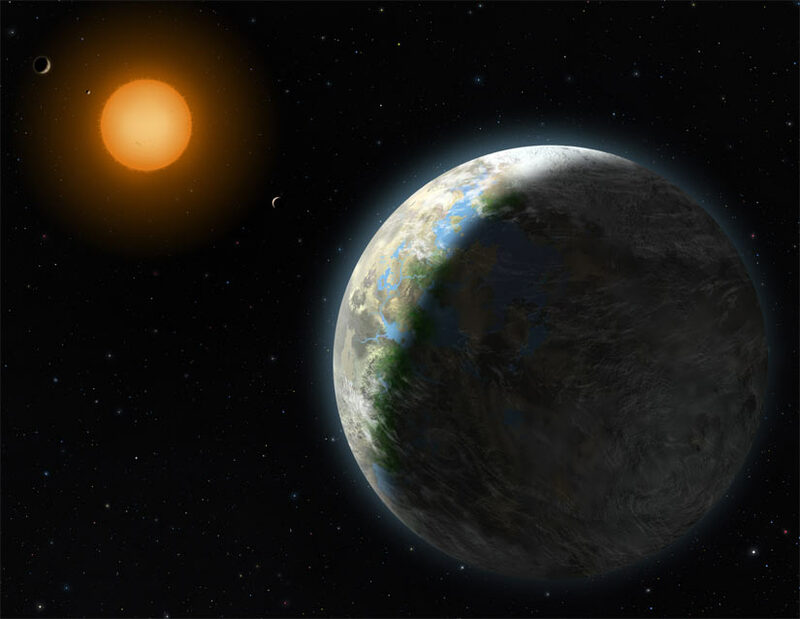 One of the most amazing news pieces lately is that a planet called Gliese 581g has been discovered that is Earth like and is almost 100% likely to support water on the surface. This means that if the astronomers are correct the planet can sustain life. This is an amazing find and the fact that it is relatively close (in the grand scheme of the Universe) at 20 light years away is equally astounding. This is just the beginning of our location of Earth like (or exoplanets as they are called) planets. Nasa has recently launched the Keppler Satellite which is specifically designed to locate planets similar to Earth in mass, potential atmosphere and distance from their star that is not too cold or hot for water to form (called the Goldilocks zone). By tagging these planets as potential exoplanets further study can begin (similar to studies of Gliese 581g) to see if in fact there is atmosphere, water and potentially proof of life. Why is this important? Well we cannot travel to these places, yet, but we can send signals, we can hypothesize on what kind of life is on these planets and we can grow ourselves further intellectually about the vastness of space and the universe. I believe we cannot be alone, the universe is too vast, too varied and the odds that we are the sole 'intelligent' lifeforms amongst billions of stars and trillions of planets is a naive and small minded concept. Discoveries like these are sometimes decried as unimportant by some when compared to the issues that plague our world and people. I think instead we should look at all the advancements made when we discovered not so long ago that we are not the center of the universe, that the sun did not orbit the Earth and that the Earth was round instead of flat. More knowledge of our universe, our neighboring worlds and what if any life we find on far way planets could end up enriching our world and people in ways no one could ever imagine.